No.12 Gilso-Matic Wire Cloth Unit - Gilson Co.
GXA-101 No. 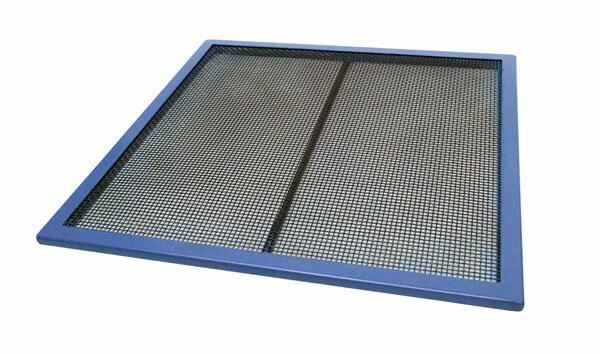 12 (1.7mm) Wire Cloth Unit for Gilso-Matic® Screening Assemblies is a square wire-cloth unit securely mounted in a 24in (610mm) frame for installation in Gilso-Matic® Screen Decks. The heavy-gauge painted steel frame is fitted with ASTM E11 Compliance Grade stainless steel wire cloth. Screen decks remain mounted in the machine during testing and discharge operations but can be unbolted and removed for cleaning and maintenance.